There really is a place called Hope. The Hampton Inn and Suites Hope is your best choice for a comfortable stay whether you*re visiting southwest Arkansas for business or leisure. 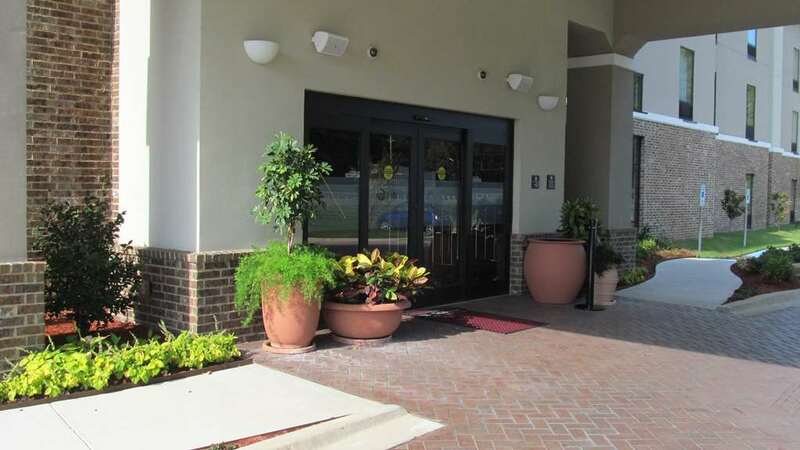 Our hotel is conveniently located off Interstate 30 at Exit 30 close to the University of Arkansas College Campus Hope and local industries such as Tyson Foods Temple Inland Klipsch and Bridgestone Firestone. Visit local historic attractions such as the President William J. Clinton Birthplace Home National Historic Site Hope Visitor*s Center and Museum Paul W. Klipsch Museum Historic Washington State Park and Crater of Diamonds State Park. If water sports or fishing inspires you visit Millwood Lake State Park or White Oak Lake State Park which are both within 30 minutes of the hotel. Playing in a ball tournament at Hope*s Fair Park - Let the Hampton Inn and Suites of Hope be the host hotel for your team. Attending a family or class reunion - Our spacious lobby and meeting room may be just the space you need to welcome one another and share some special moments. Come experience the definition of Southern Hamptonality Hospitality of our friendly caring staff and relax in spacious elegantly appointed rooms and suites with king or queen-sized beds. Enjoy amenities such as a microwave oven and mini-refrigerator in every room and suite free high-speed internet access fitness room indoor pool guest laundry meeting room and business center. Start each day with Hampton*s On the House Breakfast Buffet. If you*re running late Hampton*s On the Run Breakfast Bag is always ready for you to pick up and take with you. Something from our Suite Shop will also remedy your craving for a late night snack. Please take a minute to look around our website and see why the Hampton Inn - Suites of Hope is the best choice for your accommodation needs. We Hope to see you soon. Tailgaters Burger Company: Angus burgers hot dogs sandwiches etc. in a unique retro setting. Tables indoors and on the patio.